Property in Kundanahalli Bangalore is easily connected to major transit points via a different mode of transportation. We all know that with time the rate of property in Bangalore is also increasing. 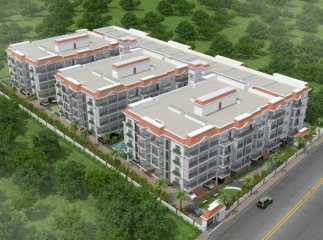 Here, you will get the right kind of 2 BHK flats of 1150 and 1550 sq. ft. at the rate of 63.25 and 85.25 lakhs. At present, these flats are appreciated for their roomy space, wide balcony, excellent surrounding and fresh air. 3BHK Property in Kundanahalli Bangalore is setting an example when it comes to finding the right residential apartments. Moving to Bangalore is a wise decision for enhancing your professional efficiency. Live in just best place in town while enjoying the lavishness without any worries. Source the information from our experts and make the right choice.